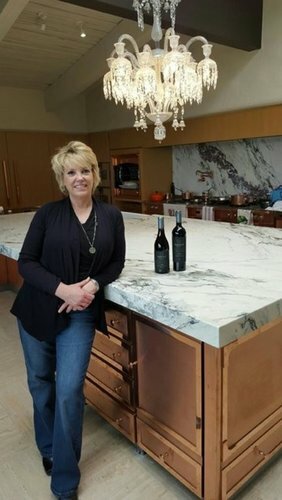 Exotic stone countertops, tables, bars and vanities benefit from TuffSkin Surface Protection's products, which include TuffSkin Gloss and TuffSkin Satin. TuffSkin provides a maintenance solution for all marble, onyx and limestone tops throughout the hospitality industry. The products feature a hard-coat technology system that's liquid-impermeable but gas-permeable to protect stone. TuffSkin tolerates heat exceeding 1,000 degrees Fahrenheit, making the product ideal for all climates and outdoor applications. TuffSkin will exhibit at Booth No. 12094 at HD Expo, running on May 4 to 6 at Mandalay Bay Convention Center. The company, participating in its fifth HD Expo, will showcase TuffSkin Satin and TuffSkin's Gloss, present demonstrations and raffle off wine. "We want to raise the visibility of TuffSkin and let people in the industry know that TuffSkin is available for them and their customers," company co-founder Lelia Friedlander said. "We've even heard that some designers now shy away from specifying marble for their projects due to its vulnerability to damage. TuffSkin provides an accessible solution. Hotels with stone that etches and stains are our focus and we also work on residences with custom kitchens through our dealer network." For nearly a decade, TuffSkin, through its dealer network, has served hospitality, commercial and residential clients worldwide. Jobs have included hotel-casino projects in the United States and at the airport in Dubai, United Arab Emirates. The company's products are recommended by architects and designers to simplify housekeeping and maintenance in hotel rooms and lobbies, restaurants and bars. Because TuffSkin's laminate is liquid-impermeable but gas-permeable, it lets stone "breathe." It disappears on surfaces and brings out the stone's natural beauty. TuffSkin's original Gloss formula is perfect for polished stone; TuffSkin's newer Satin complements a honed-stone surface. Company co-founder Frank Friedlander was inspired to invent TuffSkin after a hotel engineer with 80 stone tables in a restaurant asked for a product that could protect marble from etching and staining. Friedlander formulated TuffSkin as a solution and the company has grown consistently in the years since. Jake and Katie Friedlander are also active in the family business, which serves customers world-wide. The company plans to expand the distribution center and training hub at its Las Vegas headquarters and increase distribution in Southern California in the year ahead.